The testo 552 is a high-precision digital vacuum gauge designed to provide you with absolutely reliable readings. 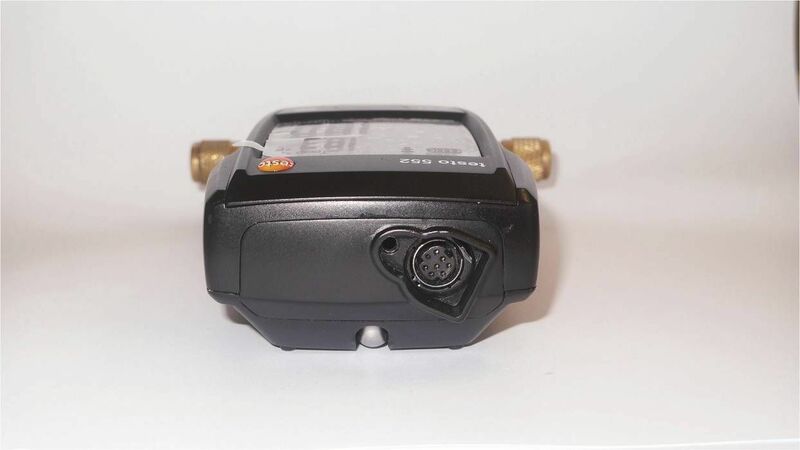 It has all the measuring functions you need for evacuating refrigerant systems and heat pumps and is built to last and tough enough to take the odd knock. 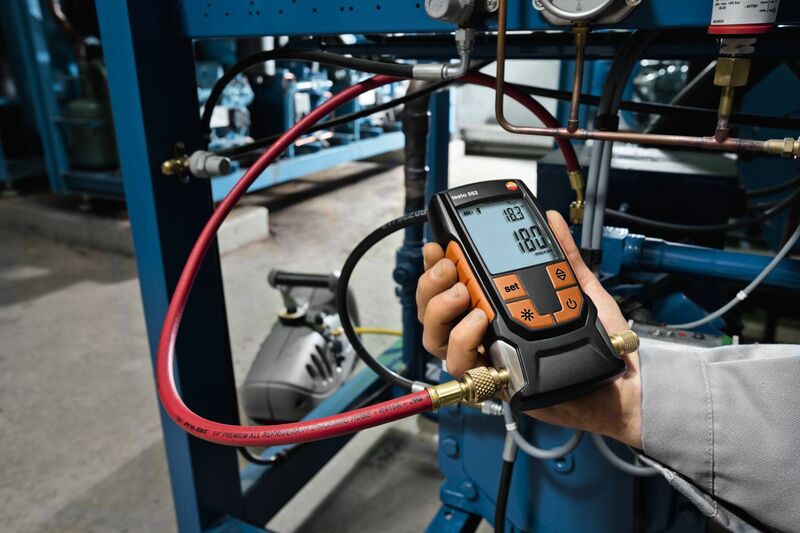 Via a Bluetooth interface, the testo 552 connects with the testo Smart Probes App on your smartphone or tablet. 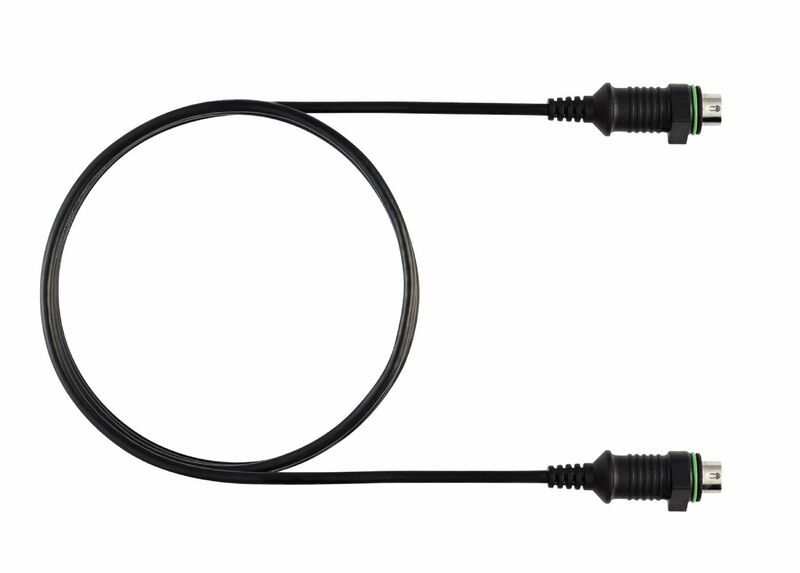 This allows you to monitor the absolute pressure reached during the evacuation conveniently and wirelessly. 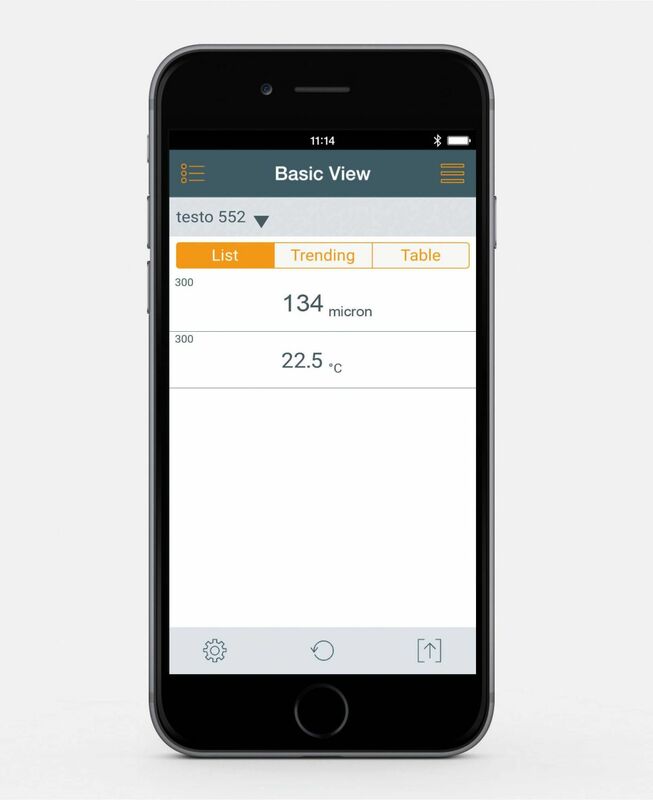 In addition to this, the measurement results can be quickly documented in the App and sent by e-mail. Evacuating is one of the most important steps when it comes to installing or restarting refrigerant or air conditioning systems: foreign gases, moisture and oils have to be removed properly. That’s when the absolute pressure of a system needs to be measured. 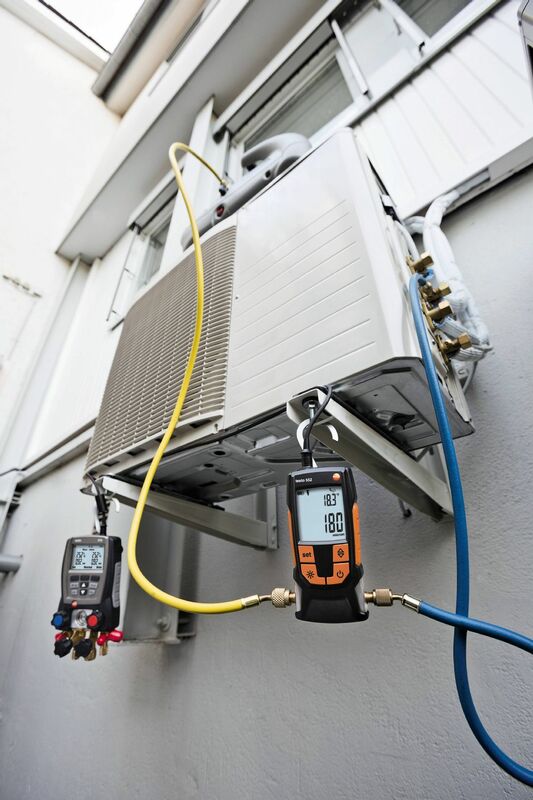 And that’s exactly what the testo 552 digital vacuum gauge is designed to do: the meter provides you with highly accurate information regarding the dehumidification status of the system and is able to measure even the smallest of absolute pressures absolutely reliably. 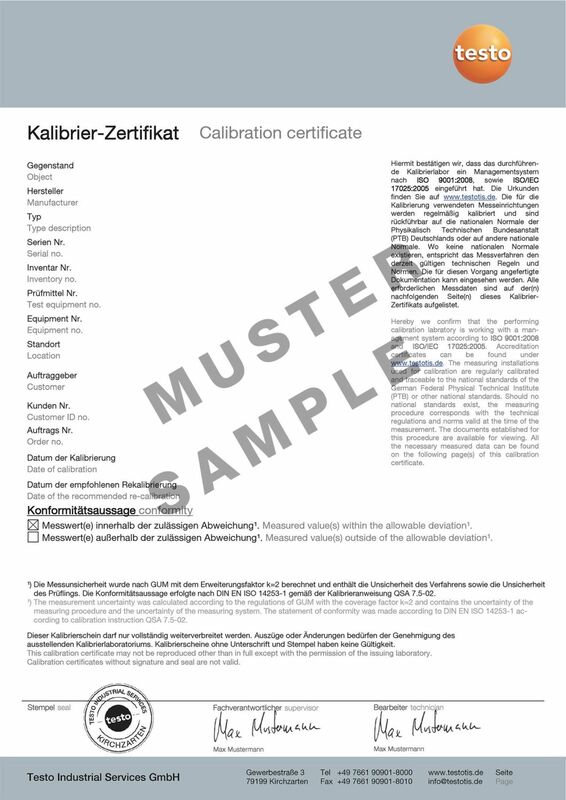 This means that you are always able to observe manufacturer specifications. A visual alarm warns immediately when a threshold has been exceeded. And because the digital vacuum gauge is IP42 rated (water resistant and dirt proof), it is virtually impervious to moisture and dirt. testo 552 digital vacuum gauge with Bluetooth®, two AA batteries. 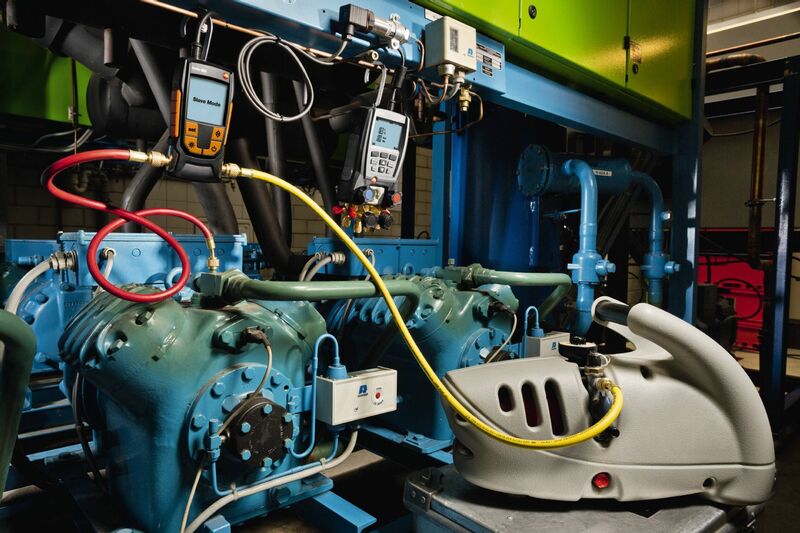 Some manufacturers specify exactly what the absolute pressure must be for you to evacuate your air conditioning systems how long this pressure must be maintained. Compliance with these specifications is simple and easy thanks to the flexible setting of the alarm threshold in the testo 552. When you use the testo 552 in combination with the testo 570 digital manifold, you can save the testo 552's measuring values or display them directly on a laptop via the optional EasyKool software. 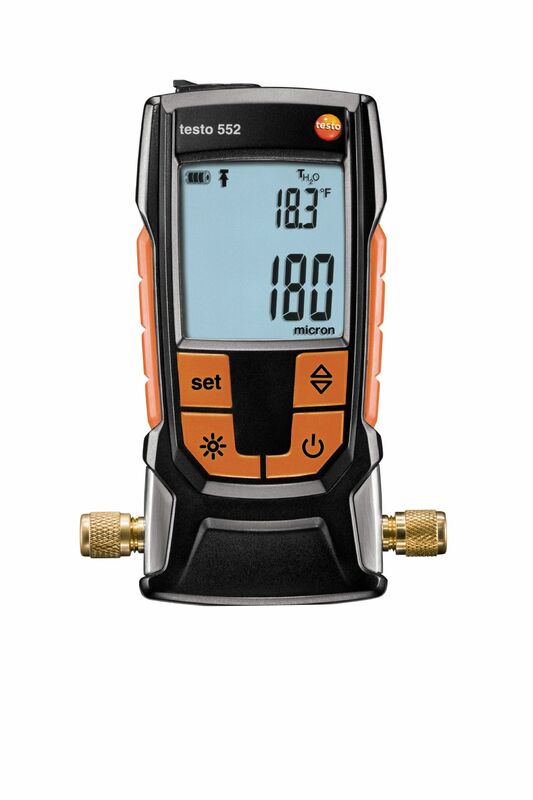 The testo 552 not only measures the pressure, but also gives the water evaporation temperature associated with it. In addition, it measures the ambient temperature and displays the temperature difference. This means you can quickly check whether the humidity in the system is evaporating and dehumidification is progressing properly. 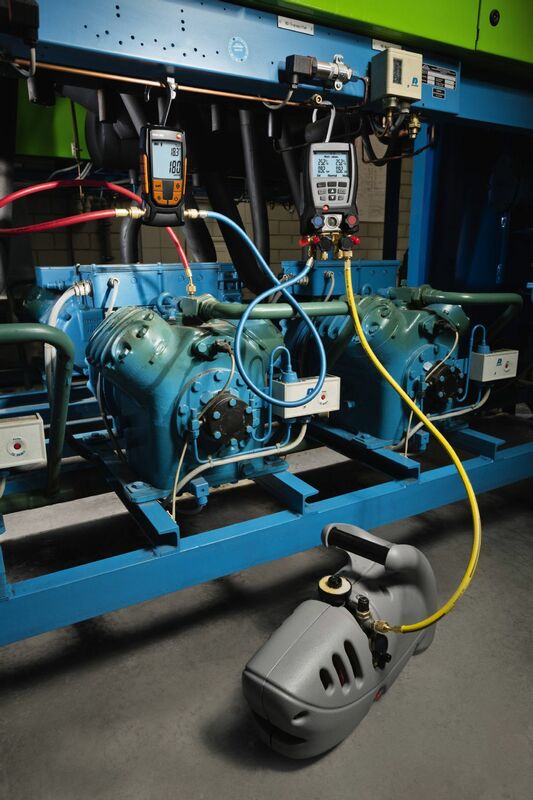 Using the testo 552, you can carry out evacuations of refrigeration systems quickly, flexibly and with a high level of accuracy.